Three years ago, I heard a strong calling in my head and heart from God to reach out and mentor young women. I do not have my own daughters, but as I have shared before, I was not a young woman who walked with God. In that, He has given me the desire to share/use my experiences and lessons-learned with the “daughters” God gives me, in hopes that they will take different paths than I did. I am blessed to be meeting with a dozen or so young women for these three past years. They consistently amaze me with their insight, their hearts and their desire to do all things well, not for their glory, but for God’s. They teach me so much! As I tell them frequently, each of them truly “owns a piece of real estate” in my heart. Watching these young women as they grow and mature, striving to take a different path with their lives than pursue the “me first” mentality so dominant in this society, gives me pause to hope for all our futures. God is using each of them in His own special way, playing to their individual strengths. We recently resumed our meetings after a summer break and shared with one another what God has been doing/and or teaching us. I will be intermittently sharing some of their experiences of service to others under the To Serve Is Better Category, which I recently created for this blog. First up, is one of “my girls”, whom I will call Tina. 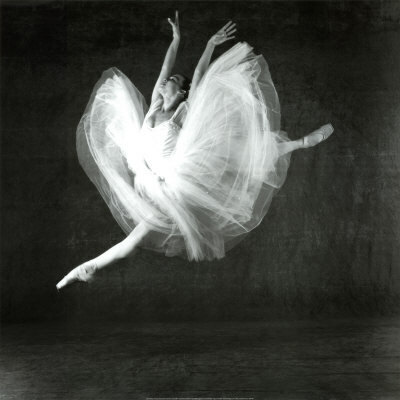 Tina is a ballet dancer who has a passionate love for dance which is second only to her greater love of God and her desire to serve Him (her King). She has just completed a mission’s trip, her second to Tanzania. 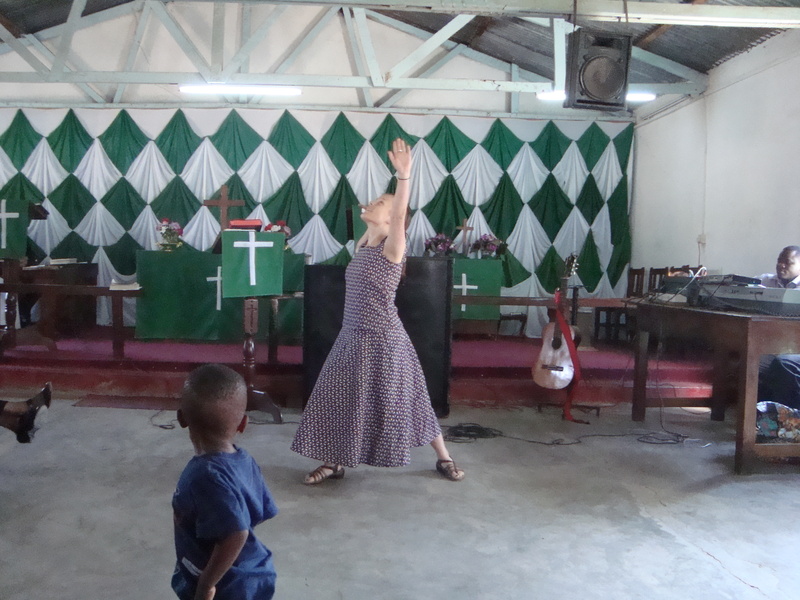 There, she combined her passion to DANCE for and love and mentor the children and women of Shinyanga, Tanzania. This region of Tanzania has a population of ~2.8 million people, with >36% of those living in extreme poverty. The average annual income is $514/per person. Many of the people living in the villages are widows and orphans due to HIV/AIDS. This summer, Tina, her mother, and several members of her church ministered to villages in the region over a 3-week period, bringing much needed supplies, medical and financial support. Below is a letter Tina shared with the supporters of her mission. There is nothing more that I need to add, Tina tells the story best. Please enjoy the experience. First, thank you again to all of you who supported me through prayer or financially for my trip to Tanzania! 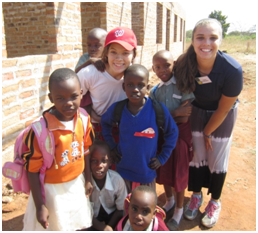 It has been almost three weeks since our team returned to the states after working with the kids of Shinyanga. When I look back and think about the trip, a few words come to my mind: growth, joy in the middle of suffering, and commitment. Growth: The first thing about growth is the mural you see below. Months before we left, I was reading my Bible and I came across 2 Corinthians 5:17 which talks about being NEW in Christ. I drew a picture of a tree with many leaves and around the tree, there was the verse. 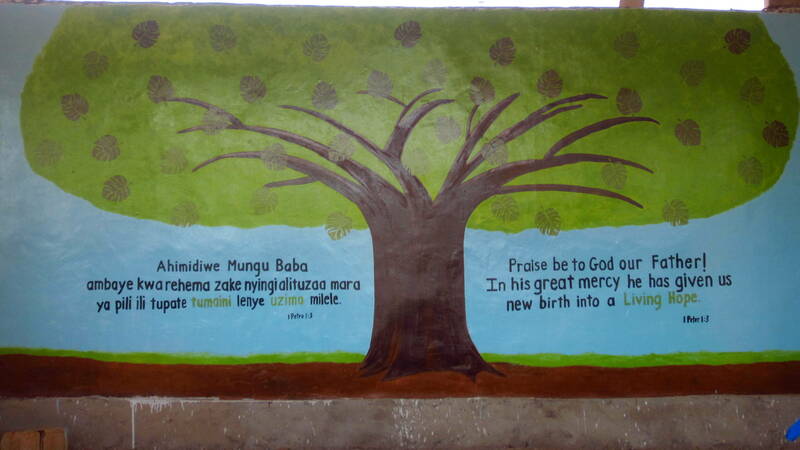 When I remembered that the school is called Green Leaf School (which is part of Green Leaf Orphanage) the idea came that we should paint a mural on the wall so that the kids would not just have to look at blank walls. This idea became a reality. After three days of a few hours of work each day, this wall was transformed from a blank wall to the picture you see above. When the chapel (this building) was dedicated, I explained to the kids the meaning behind the mural. All of the roots and dirt are the teachers, supporters, and staff, and from the time, effort, money, and love poured into the school, comes them, the leaves. The growth was not only represented in the mural, but in the kids as well. E very day, my mom would sing songs with them about Jesus. These children come from all different religions, so to watch them singing about Jesus and reciting the Gospel bracelets was so touching. 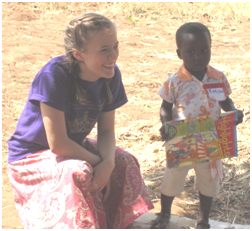 One of the songs she sang with them pretty much everyday was “Read your Bible, pray everyday and you will GROW, GROW, GROW!” They would start out close to the ground and then slowly grow as the song progressed, some of the kids shouting louder with each word. Those words were permanently engraved into their brains by the dozens of times they sang it, and the last day we were with them, they came up to us and one child broke out into the song and motions. Joy in the Middle of Suffering: My personal favorite part of the trip was my “return” to the widows group. I put return in quotations because although we thought it was a return, it turned out that it was a totally different widows group than we visited the year before. This year, I had the opportunity to teach them a dance and to dance for them. As I started to teach them “Your Name”, a song I had taught to elementary school aged kids, I watched smiles develop on each of their faces. These smiles were so touching that I could not keep one off of my own face the entire time. Thank you so much again for your support! I can’t wait to see what God has for me next! 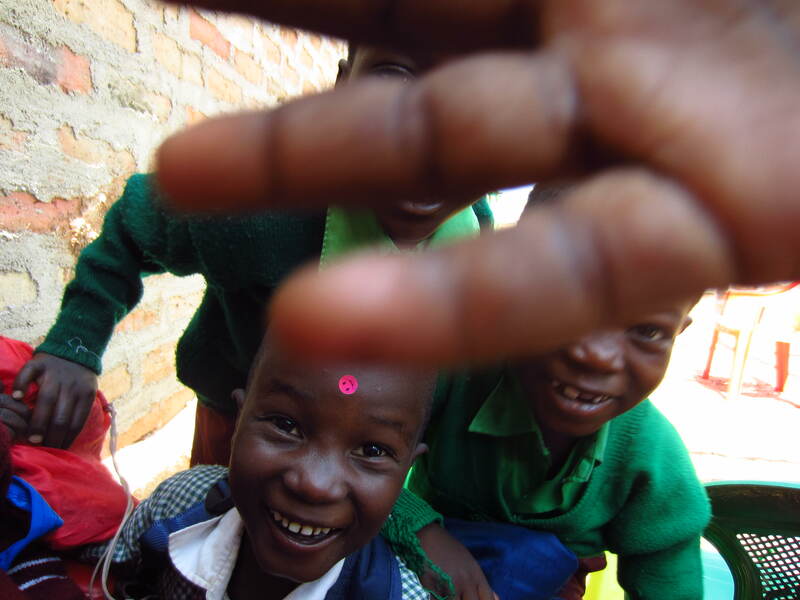 Green Leaf Orphanage is looking for more ministry partners so it can care for more HIV/AIDS orphans. If you would like to learn more about the ministry of Green Leaf, or make a contribution, please email the Rev. Jack Grubbs at revjack@potomacfallschurch.org or call the church office (703) 404-0900. ← Do You Love Me More Than These? Love, Love, Love this!!! The little guy with the big smile and the pink smiley sticker on his forehead…just melted my heart! Bless you for sharing the LOVE of the Lord with these wonderful folks in Tanzania. I will continue to pray for the Green Leaf orphanage. Keep strong in His good purpose for your life!